“We can confirm that the lawyers of the player have come to La Liga to deposit the clause and that it has been rejected,” La Liga claimed. The FFF rules means PSG would be spending way more what they earned. The limit is +30million euros but PSG would be spending 100+million euros. Media outlets claim the La Liga chief Javier Tebas said the state-backed (Qatar) club was engaging in ‘financial doping’ which would have far reaching consequences for the game. Neymar has been linked with a move away from Barcelona since last year. The player agreed to a five-year deal last October to calm the links. 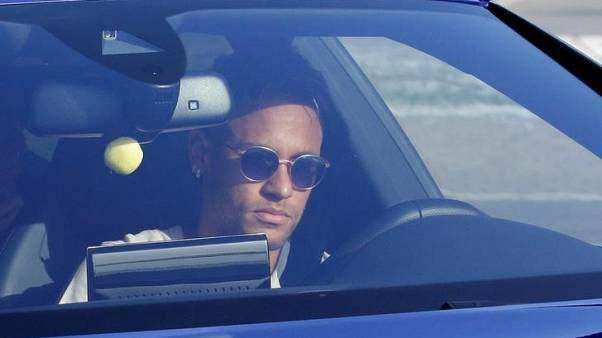 The Speculation resumed few months back that Neymar was tired of playing second fiddle at the Nou Camp and that he wanted to win the Ballon d’Or. Barcelona and the La Liga chiefs denied the fast-spreading rumours until the player asked to leave. Barcelona gave him permission but the La Liga has refused to accept the money to buy out his contract.